What’s not to love about fall? Thoughts of turning leaves, cool, crisp evenings, and cozy sweaters paint a romantic portrait in my mind. But in my San Francisco reality, much of that won’t pan out yet as the fog finally clears, making way for our Indian Summer. Sure, leaves will turn, eventually, but without all the pomp and circumstance of the East Coast leaves. And then there’s the food. 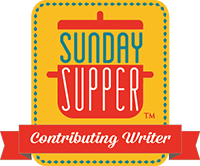 Lots of homey, comforting foods made with apples, pumpkins, butternut squashes, and this week the #SundaySupper crew has a cornucopia of fall inspired recipes for you, hosted by Soni over at Soni’s Food. 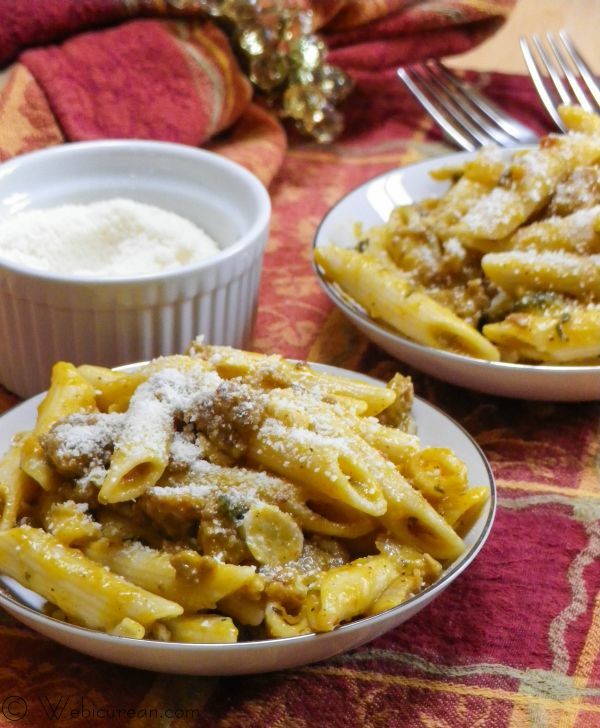 I’m bringing a special treat–penne with a spicy pumpkin and sausage sauce. Back in the days when cooking shows were mostly the domain of PBS, I’d become enamoured with the very charming Nick Stellino. Perhaps a little heavy on the cheesy Italian schtick, week after week he would effortlessly deliver beautiful and unique Italian dishes. This recipe is adapted from one he made on the show. The pumpkin puree, with its oh-so-subtle sweetness, makes the sauce creamy and is the perfect contrast to the spicy Italian sausage. Oh, and the garlic. Once it’s browned and braised in the sauce, you won’t give another thought to the fact that you probably used an entire head. I’ve made a few modifications to the original recipe, including swapping out chicken stock for turkey stock. Feel free to use chicken stock if that’s what you have, but I recommend getting your hands on some turkey stock. It may seem like an insignificant switch, but the richer flavor profile of the turkey stock will take this to another level. In a large saute pan, brown the sausage, breaking it up as it cooks. Once browned, remove the sausage from the pan and set aside. 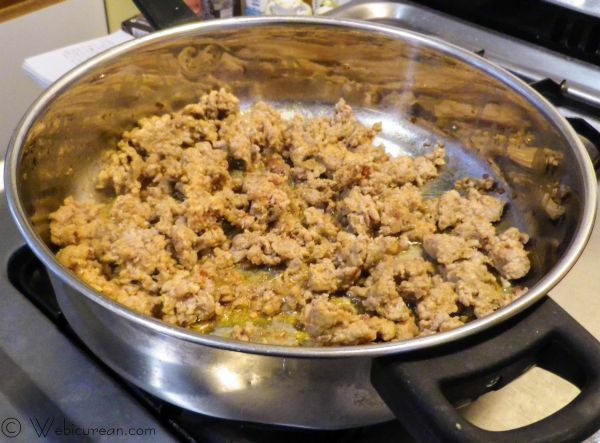 Add the olive oil to the sausage drippings in the pan, and turn the heat back on to medium. Add the onion, garlic, sage, and red pepper flakes. Saute this until the onion and garlic start to brown.Â Deglaze the pan with the white wine. Stir in the turkey stock and bring to a boil. Add the pumpkin puree, stirring so that it’s fully incorporated. Add salt and pepper to taste. Lower the heat and let simmer about 30 minutes.Â Meanwhile, cook the pasta according to the package directions. The sauce will reduce a bit as it cooks, and once it’s ready, toss in the drained, cooked pasta, fully coating the pasta with the sauce. Let this simmer for several minutes, until thick and creamy, then stir in the Parmesan cheese. 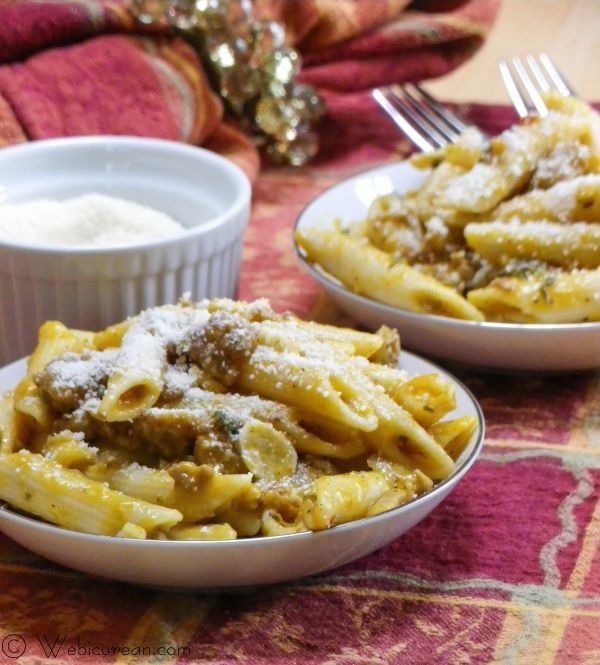 Penne rigate is tossed with a creamy sauce of pumpkin puree and spicy Italian sausage forming the perfect fall pasta dish. Cook the sausage in a large sautÃ© pan over high heat until browned. As it cooks, break it up into bite-sized pieces with the back of a wooden spoon. Transfer the sausage to a bowl and set aside. 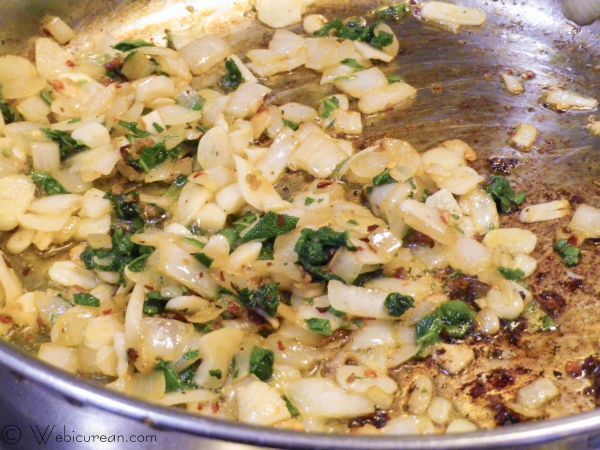 Add 2 tablespoons olive oil to the pan, return to medium heat, then add the onion, garlic, sage, and red pepper flakes. Cook this about 8-10 minutes, until the onion and garlic start to brown. Return the sausage to the pan and heat through. Deglaze the pan with the wine and cook for a few minutes, dislodging any browned bits from the bottom of the pan. Next add the turkey stock, and bring to a boil. Stir in the pumpkin purÃ©e, stirring well, until the pumpkin is fully incorporated. Reduce heat and simmer for 30 minutes, uncovered, so that the sauce reduces a bit. Add salt and pepper to taste. 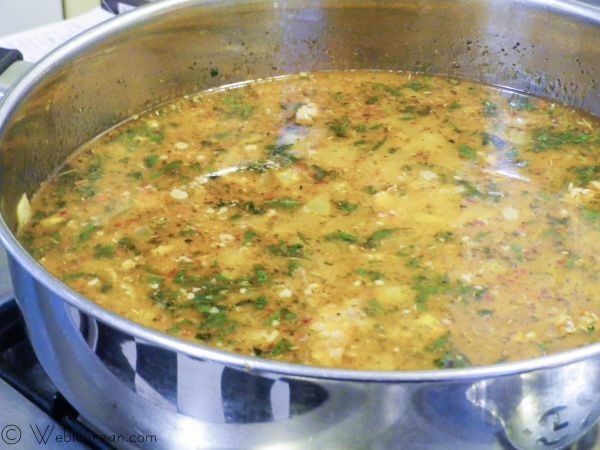 While the sauce is cooking, bring a large pot of salted water to a boil over high heat. Add the pasta and cook according to the instructions of the package. Drain. When the sauce is ready, add the drained pasta to the sauce and cook over medium heat for 3 to 5 minutes, stirring constantly. Remove from heat and stir in the Parmesan cheese. Let’s take a look at all the wonderful fall dishes everyone else has cooked! Love this! 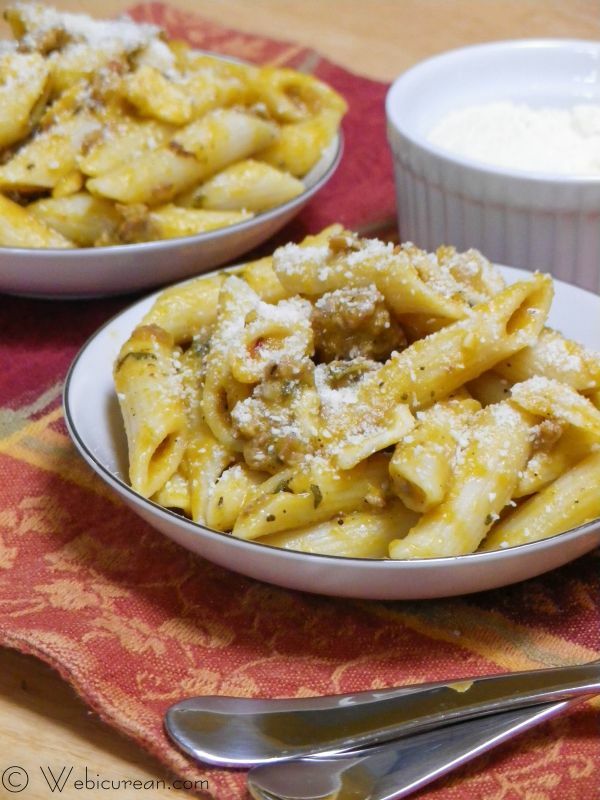 I’ve been wanting to try a pumpkin sauce over pasta…it’s officially on my to-do list! Can I please have three bowls, Anne? Too greedy? Sorry, but it looks and sounds like my kind of meal! What a fantastic dish! I can’t wait to put this on my must make list for the season! Thanks for sharing! This looks fabulous. I made a similar dish a few years ago and still think about it – perhaps it’s a sign I should make it again! Pumpkin and sausage go so well together. Thanks! This looks absolutely awesome. I cannot wait to make this! Oh yum! I think I want this now, and it is only breakfast time! Oh wow! Wow. I don’t even have words, because I kinda want to forgo the elegant dinner this could be served at, and just face plant (or dive, maybe less messy) right into a bowl. That looks fabulous! I am loving all of these spicy pumpkin dishes! 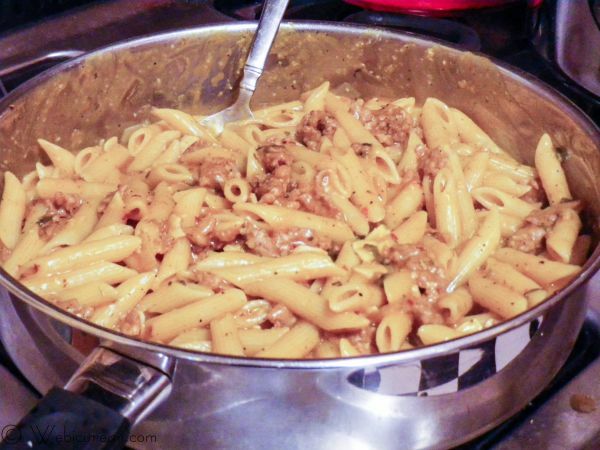 Your pasta looks amazing!!!!!!!!!!!!!!! One of my favorite ways to eat pasta is with sausage, mostly in tomato sauce. The idea of adding pumpkin is just amazing Anne! Another great recipe to add to my pasta rotation. What a perfect dish for Fall! My husband LOVES sausage and pumpkin, so would definitely be having a second (or third) bowl. The change in seasons is one of the things I missed most when I lived in SF. The year-round temperate climate always threw me for a loop when the holidays came around. I make a similar dish using butternut squash, but I’ll have to add sausage next time for a heartier dish! This looks great! Love pasta! Pumpkin pasta on top of that! You indeed picked a great recipe for this week’s Sunday Supper! Mmm, I love spicy sausage with butternut squash, so I bet this is amazing, and easier since you don’t have to hack through a squash! This sounds amazing. I am loving all the savory squash ideas this week! Well, now I know what’s for dinner!! Sooooo yummy! Haven’t tried this with turkey stock. I will definitely make it. Thanks for sharing.